Home / Entertainment / Gossips / Abhishek Bachchan would Love to Do the Biopic of Yuvraj Singh! 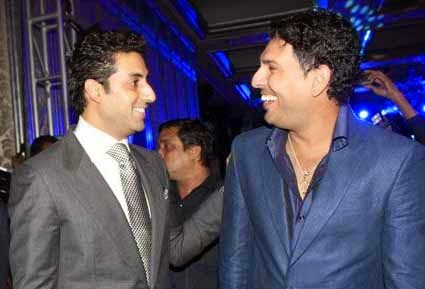 Abhishek Bachchan would Love to Do the Biopic of Yuvraj Singh! New Delhi : Biopic seems growing as a newest wrinkle for the Bollywood of these days. With a series of released and lined up biopics , it seems that that there would be a rain of real life picks on the movie lovers. Well, amongst the whole list of Biopics, there is one on M.S. Dhoni, which is gathering much anticipation from all corners. Apparently, a series of stars would be seen depicting real life Cricket heroes in the biopic. In the flow, there are many stars who have their own fancies on the way to portray the character of their own likes on screen as like Abhishek Bachchan. Abhishek Bachchan was when asked that who’s life journey he would wish to depict on the big screen? Then the ‘Happy New Year’ actor said would wish to do a Yuvraj Singh Biopic. Perceiving the fact that Yuvraj Singh is a big fighter as he fought with his lethal cancer to get back into his sport, we would say that a Yuvraj Singh Biopic would be a great story of courage and dedication to be depicted on the big screen.